Joseph Pringle (b. 1943), better known as “Ronnie,” was born and raised in Charleston, SC. He fell in love with the blacksmith shop at an early age while visiting his cousin, Philip Simmons, practically every day. He loved his cousin and became intrigued by watching the magic of shaping the metal into different objects. Although he was allowed to visit the shop, he didn’t become an apprentice until he was 13 years old. Philip taught him the way he was taught by Peter Simmons. 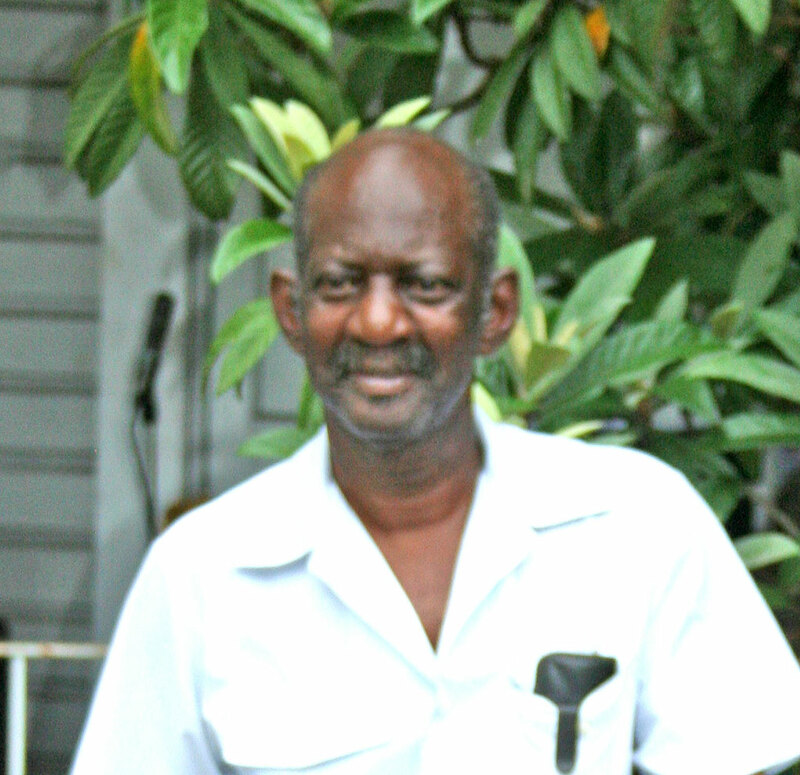 Except for a short stint in the military, Ronnie has been a faithful student and employee at the Philip Simmons Shop until Mr. Simmons decided to retire and turn the business over to him and Carlton Simmons (Philip’s nephew). They formed Simmons Blacksmith Shop, LLC in 2006 to continue the craft as it had been taught to them. While Philip Simmons was still active as a mentor to him, Ronnie designed, collaborated, and/or participated in the fabrication of the gate to the slave cemetery at Mepkin Abbey in Huger, SC; a free standing Palmetto Tree for a gift to the Chinese from the South Carolina Department of Commerce; a pineapple trophy for the LPGA tournament Ginn Tribute hosted by Annika, and a replica of a bus seat to celebrate the act of defiance by all who refused to move to the back of the bus before and during the “civil rights” era. The bus seat was purchased by Congressman John Lewis and will eventually be given to the National Museum of African American History at the Smithsonian Institution in Washington, DC when it is completed.